The transit strike is over, after 3 days. 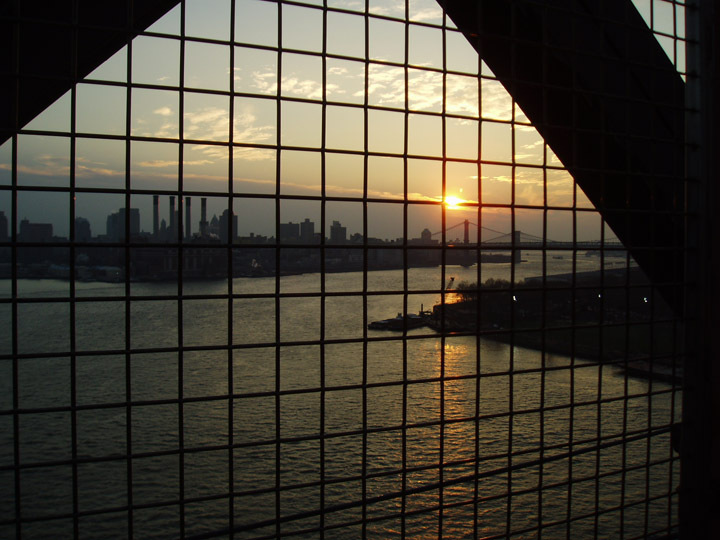 I've been walking across the Williamsburg bridge every day just before sunset. This is tonight's view from the bridge, with the Brooklyn and Manhattan bridges in the distance, and their respective namesakes both visible.